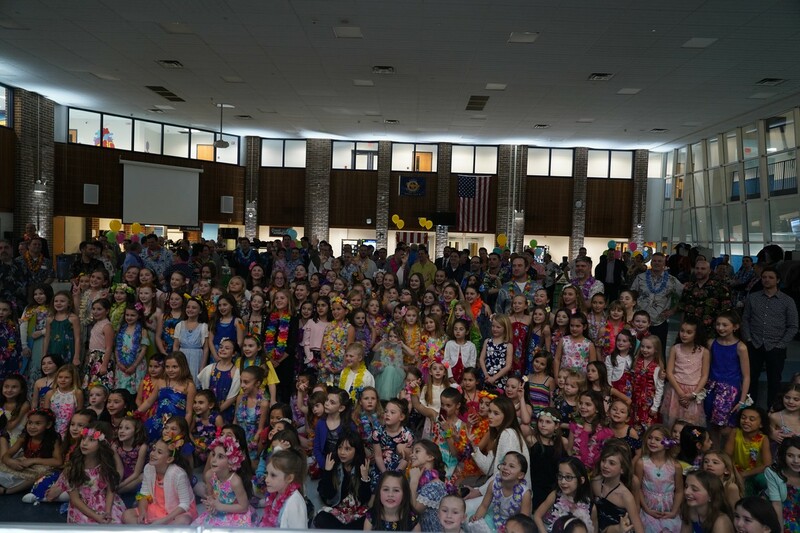 "All the Paw-sitive News Fit to Print"
On March 1st the PTA hosted the third annual Father-Daughter Dance. The first dance was in 2017. The event takes place in the Middletown South High School cafeteria. This is a perfect evening for a dad and his daughter(s) to go out and have a pleasant time! There were 340 people who attended the dance, 178 were girls from our school with their dates (plus 10 moms that volunteered to help with the dance). 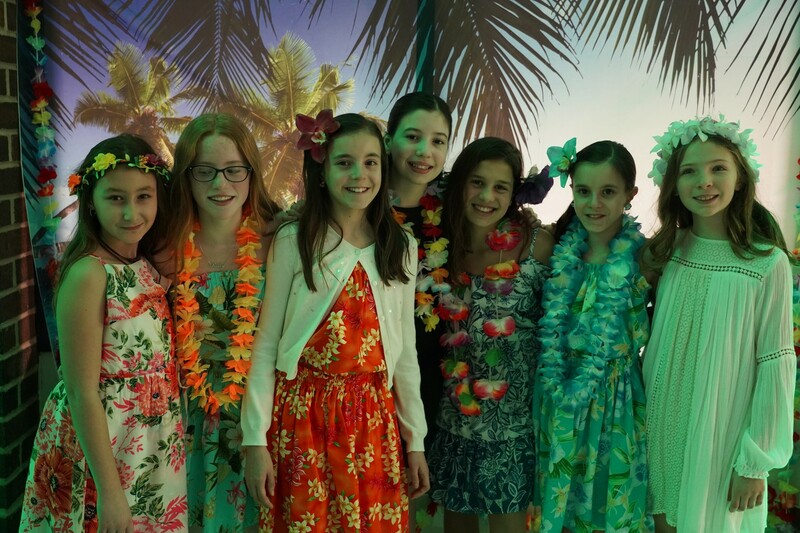 This year the theme was a Hawaiian luau. The room was decorated with festive luau decorations. Many girls and their escorts were dressed to impress in luau clothing. There was a photo booth, food, a DJ and of course, dancing. There were sandwiches, cookies, fruits, vegetable trays, chips, popcorn, and more. One of the sandwich platters was even luau-themed pulled pork sandwiches. The music to begin the dance was Hawaiian-hula, and the DJ also played fun songs with dances that go with them. Everyone danced along! So, if you like to dance and have fun this is where you should come next year. At the end, each girl got a lovely hibiscus sugar cookie to take home. This is a jubilant event where you and your dad can have an amazing time together! Some girls got a special ride in a limousine. At the end of the year, the boys will get a Mother/Son carnival for them to enjoy. Read the guest's comments below. As for me, I think the dance was awesome! The food was fantastic, the music was a blast, and the whole event was full of excitement. Lizzie Smith, a fifth grader, said that her favorite part of the event was dancing. She said it was "very fun!" 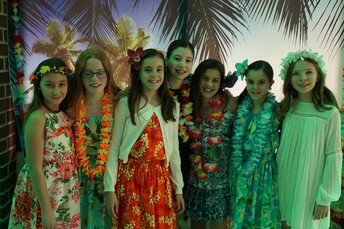 Jaime Kunz, another fifth grader, said that she "loved the luau theme." Mr. Kunz, her dad, suggested to "keep the dance happening every year." Battle of the Books: Who Will Win? On the morning of December 9, 2018, fifth graders swarmed into Lincroft School to start their very own reading battle. During this battle, each kid gets a group of peers to read 10 books with. When done with all 10, the entire fifth grade goes into an intense battle. The teachers ask questions, and the groups struggle to answer. This year, there will be another tense battle. Who will win? This year, there will be another tense battle between all Fifth Graders. Who will win? Go to https://www.forsyth.k12.ga.us/Page/18781 and https://jefferson.rbusd.org/apps/pages/index.jsp? 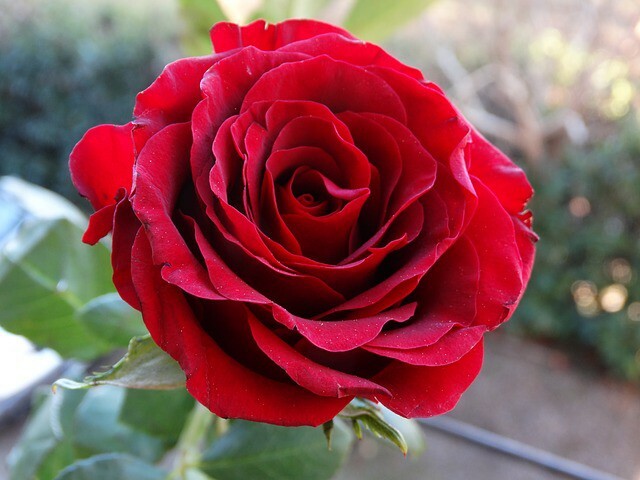 uREC_ID=812152&type=d&pREC_ID=1198580 to find out more. The 5th graders are all going to middle school next year! Some parents think: To go to Thompson, all my children need is to study and to be ready! But did anything else cross their minds? What about a party?! The 5th Grade Event is for kids to celebrate the ending of elementary school. This year's theme is...... THE SKY IS THE LIMIT. 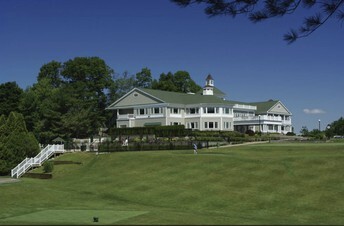 Fifth-grade students and their parents will go to dinner at the Beacon Hill Country Club in Leonardo. This will take place on Thursday, June 13th. There will be a DJ and a fortune teller. It will be a lot of fun! HOW DO THEY RAISE FUNDS FOR THE EVENT? The committee organized fundraisers throughout the year to raise all the money for the 5th Grade Event. 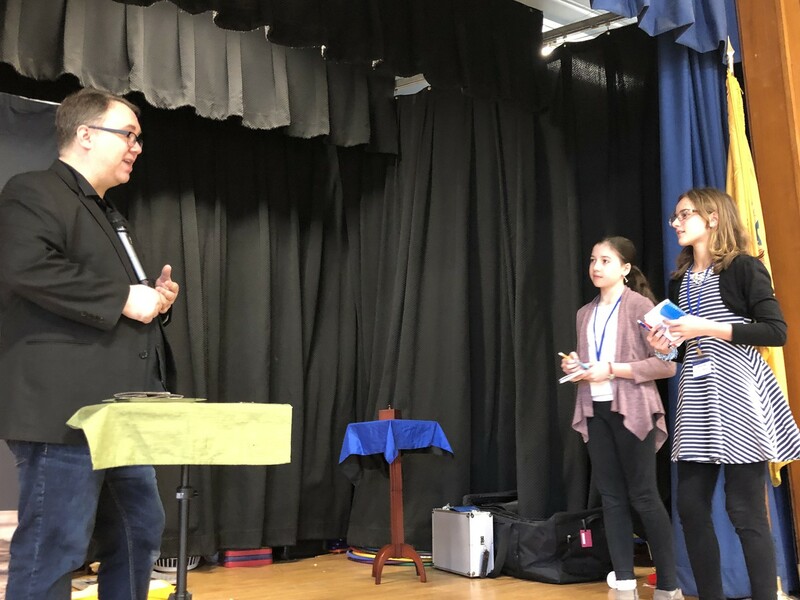 Fundraisers included Worlds Greatest Chocolate sale, selling Smencils, Pinot's Palette Ladies Night, and Penny Wars for the entire fifth grade. The PTA was going to host a Sky Zone night with proceeds benefiting the event, but they raised so much money that they canceled it! The kids are always enthusiastic about participating in these fundraisers. The PTA will also contribute funds to cover costs. Parents and students will pay $12 per ticket to attend. Everyone is excited about attending! Fifth-grader Reilly Connolly says, “I am excited for the event, and to move onto middle school. I think It will be a big change from elementary school. I think Beacon Hill Country Club will be loud and very decorated.” Her mom, Meg Connolly, says, “I am very excited for the event. 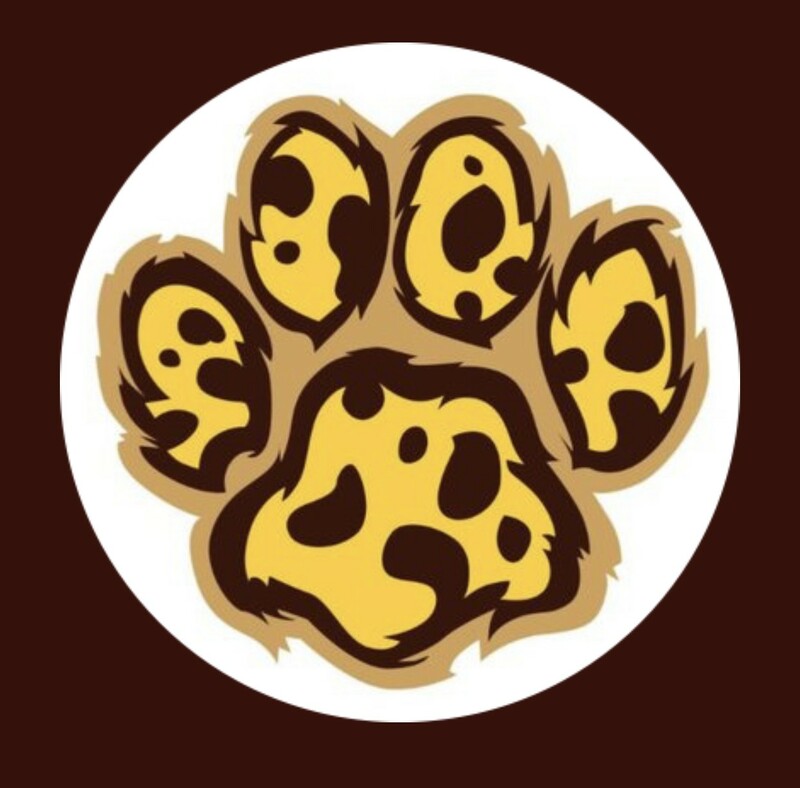 It is the first year that the school is not having it in the Leopard's Den, so I think it will be exciting.” It is great to hear that they are excited. I am excited, too. It will be very fun! All About 4th-grade Teacher, Mrs. Williamson! 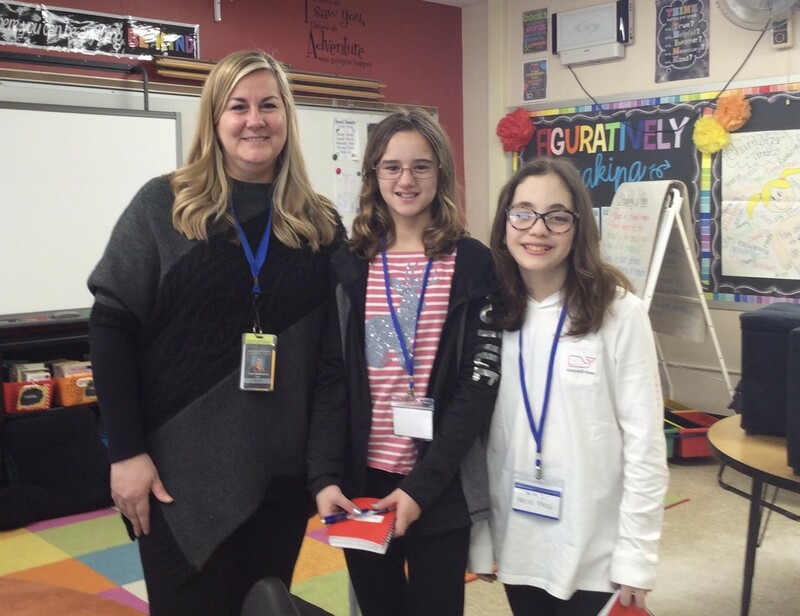 Madison Basil and Gabriella Ribando of the Paw Print staff sat down to interview Lincroft's own Mrs. Julie Williamson. PP: Why did you want to be a teacher? JW: "I became a teacher because I wanted to do something with kids and something more creative. I was working in the city and I did not like that, so I went back to school and got my degree to be a teacher." PP: Do you get bored of teaching? JW: "Never. It's a new challenge every day and every year, with new kids and new curriculum." PP: How many kids do you have in each class? JW: "68 kids altogether, since I switch with three classes. There are 22/23 kids in each class. It's a lot of kids." PP: Why did you pick 4th grade? JW: “I didn’t pick 4th grade. I was moved to 4th and I loved it. I have also taught 1st and 3rd, but 4th is my favorite." PP: Do you miss switching with Miss Staudt? JW: "I do miss teaching with Miss Staudt, but I love teaching with Ms. Dini and Mrs. Tardio." PP: What is your favorite subject to teach? PP: What is your favorite color? At the Movies with Avery Velho: Mary Poppins Returns! First of all, I would like to make one thing perfectly clear... I think this movie missed the mark. Also, the kids are super annoying! After 30 minutes all I could think was GEORGIE, PULL YOURSELF TOGETHER AND GET OFF THE GRASS!!!!!!!!!!!!!!!! because they said it about a thousand times. They are forgettable and dull performances; really, they cannot even try not to act like total Kuuderes! [ a Japanese word for someone who does not care about anything]. Seriously, for me, it was like watching a level of H-E double hockey sticks that Dante was too scared to write about! I would give this movie a 2, no more no less! I recommend Nanny McPhee and the original Mary Poppins! Assigned Seats or No Assigned Seats? What's Your Opinion About the Assigned Seating Issue? Who wants assigned seats? Lots of kids agree that lunch is a time to be comfortable with friends and relax. Picking your own seats can make kids more responsible and help them learn how to make better choices. Some people say you can make new friends, but you can also make new problems. What Is So Bad About Assigned Seats? If the goal is for kids to feel safe, let them chose their own seats. When you pick your own seats, you grow responsible and make better choices. Free seating helps kids by letting them have something to look forward to, not dread. If there are assigned spots, teachers can be accused of favorites when some love and others hate their seats. To start with, fifth-grade teacher Mrs. Frazee revealed her opinion on assigned seating. When I asked her if her class has assigned seating in the cafeteria, she answered, " No, my class does not have assigned seats. In the beginning of the year, I told them to pick a few people to sit next to, and that would be where they sit for the rest of the year." Mrs. Frazee says that her students seem happy with this strategy at lunch. She did not have any complaints yet! She would only have assigned seats if there are any fights, but if her class behaves, she would be more than okay to let them sit with friends. So far her class this year is great, so they do not have assigned seats in the lunchroom. A second-grade girl named Addison in Mrs. Fortunato's class has assigned seats in the cafeteria in number order by last names. She says that some kids push lunch boxes over and switch seats without teachers knowing. "Teachers want to separate kids." Addison does not like assigned seats because her friends are separated from her. "I never heard people complaining, but they are probably complaining in their heads," Addison says. Teacher switches seats in class but never in the cafeteria. She thinks lunch would be more fun if there were no assigned seats. Many people have different opinions on assigned seating. What do you think? 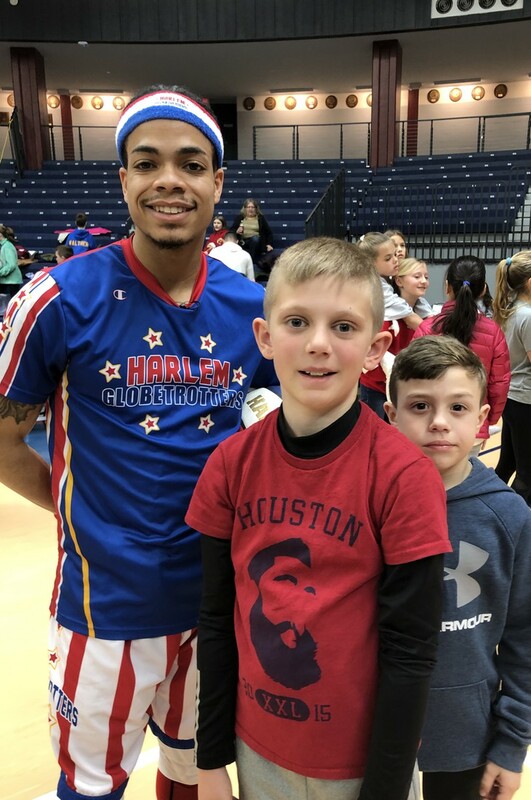 On Wednesday, March 6, the Harlem Globetrotters played the Washington Generals at Collins Arena at Brookdale Community College. The choruses from Lincroft and Leonardo schools were invited to sing the national anthem before the game started. We went early for the Magic pass. When you upgraded your experience to a Magic pass, you had the opportunity to get autographs, ask questions, and shoot hoops with the Harlem Globetrotters for a whole thirty minutes. We thought it was overcrowded; we didn't get a chance to meet many players or learn any tricks. We were a little disappointed. But we thought the Lincroft chorus did a phenomenal job singing the national anthem! Watch the video below and see their outstanding performance. And even though the Magic Pass was disappointing, the Globetrotters redeemed themselves with an action-packed, entertaining basketball game. In addition to a lively competition against the Generals, they invited different guests on to the court to enjoy the experience that much more. We got to see Ice, Cheese, Hammer, Hot Shot, H-Lite, and Wham do incredible tricks. They did granny shots, which is when you wind up with the basketball between your legs and just go up and release the ball. They also did four-point shots and spun the ball on their finger. It was a very fun game to watch. 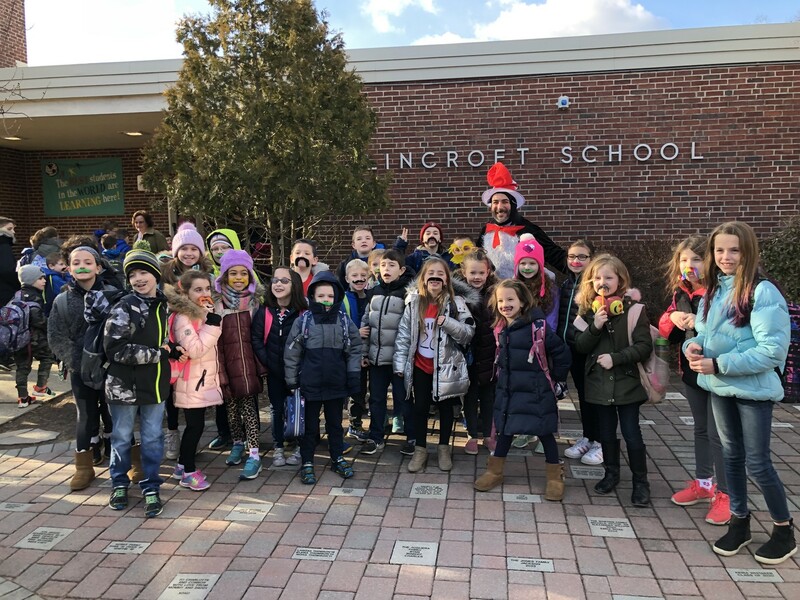 All in all, it was a great day for the Lincroft community! It was another successful Read Across America week at Lincroft Elementary School. What made it so cool was that it gets kids more involved in reading and allows them to express themselves with theme days and contests. The first day was Mustache Monday where many wore the mustache of their choice. There were so many crazy mustaches. Some had glitter, others were long, and we even saw Lorax mustaches. The second day of Read Across America week was Tickled Toes Tuesday. This day was fantastic because we could wear our craziest socks! There were hamburger socks, Star Wars socks and even unicorn socks...so many crazy, fun socks! Third was Wacky Wednesday. It was awesome because we could wear our wackiest outfit or dress as our favorite Dr. Seuss character. Many dressed up like Cat in the Hat, and I also saw stripes, polka dots, sparkles, and lots of colors. We started to round out the week with The Cat In the “Crazy” Hat Thursday. This was fun because we could dress up in black and wear a crazy hat! Some students also added whiskers to their outfit so they looked like cats. Friday, the last day of the week, was Fun Friday/Crazy Hair Day. We could wear our favorite pajamas and make our hair as crazy as we wanted. There were onesies, comfy clothes, and even character PJs! The hair was really crazy! We saw colors, braids, buns, mohawks and even hair made to look like soda pouring into a cup! The best part of the day was when the 3rd, 4th, and 5th graders were able to read to the younger grades! 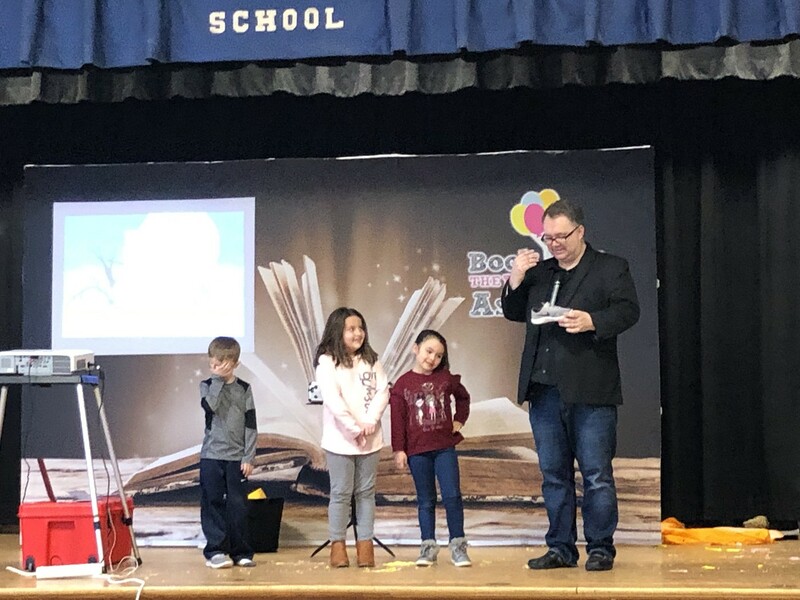 In addition to the theme days, students had the option to participate in four contests which all highlighted “The Magic of Books” because Dr. Seuss believed magic existed within books. The contests consisted of photos, comics, essays, and class picture submissions. The best incentive for the students was that the class that participated the most across all contests would win a pizza party and $75 in Scholastic Bucks! 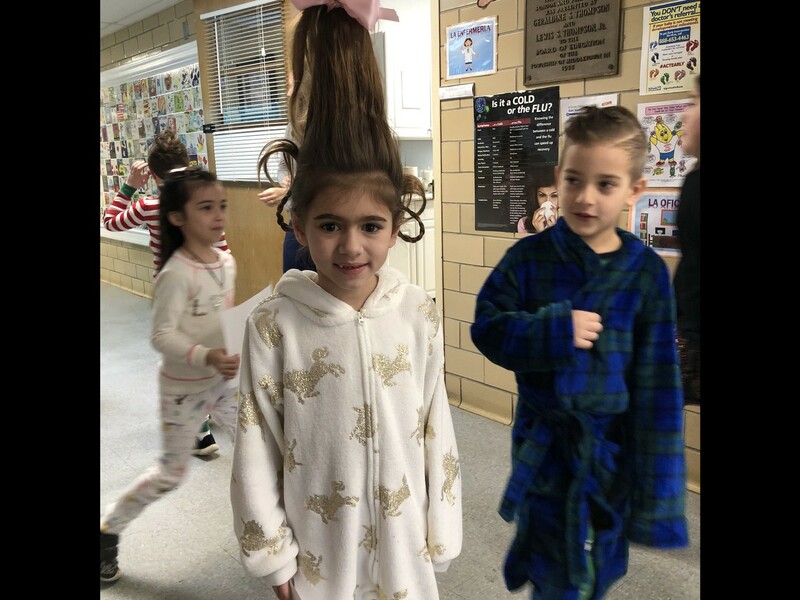 Crazy Hair / PJ Day! Brian Curry, Book Magician, Visits Lincroft School! 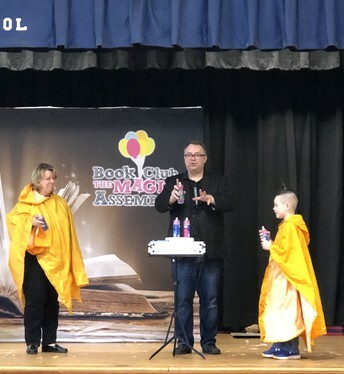 Have you ever heard of a book magician? This year, on March 5, Lincroft Elementary school experienced something one-of-a-kind. Brian Curry visited our school to show kids in different grades the magic that is in books. He thinks that picking up a book can be an entry gate to a new world. We interviewed Brian after the shows to ask him some questions. First, we asked him why he had the title of a book magician. He said that he has this title because he loves books and magic. When we asked him what inspired him to write his first book, he said, "As a kid, I was shy and had a difficult time talking to other kids. When I did magic, I had an easier time in a crowd and it made me stand out." We also asked Brian about his favorite part of his job, and he said, "Traveling---all seven continents in five years!" Whoa!!!! We asked him if he had plans for a next book, but he wants to focus on new shows instead of books. We wondered if he told anybody how to do his magic, and he said yes; his wife and other magicians. His favorite books are Matilda, Harry Potter, and The Count Of Monte Cristo. David Copperfield (who made the Statue of Liberty disappear!) inspired him to do magic, as well as many others. Next, we asked Brian why he did magic. He replied that he did it because it is something he loves to do. We asked him if he liked being on the stage and he said, " Only doing magic!!!! Otherwise, I am terrified!" Lastly, we asked him what his favorite magic trick was. "Well, I once sawed a school's principal in half!" he stated normally. "The hardest magic tricks are card tricks; it takes years to learn them. Nothing is the easiest." He will compete in DC to get the title of the best magician. Wish him luck! 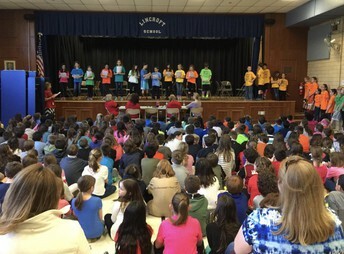 Lincroft students participating in the show. Teachers getting in on the act! Madison and Sydney interviewing Magician Brian Curry. 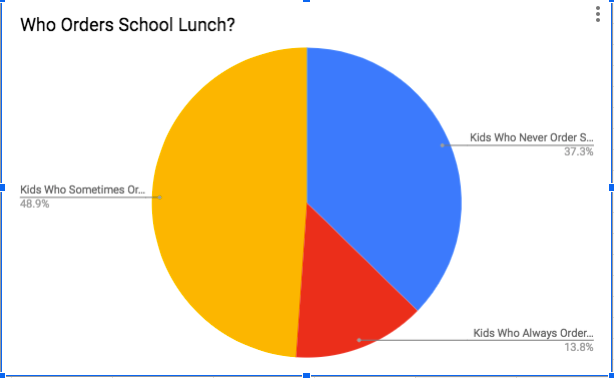 What Do Kids Think About School Lunch? People have many different opinions about school lunch. Some people love it, but some people think that it is gross. Lots of people don't even order school lunch, but everybody has their own opinion about it. This year, the school lunch service has been changed. 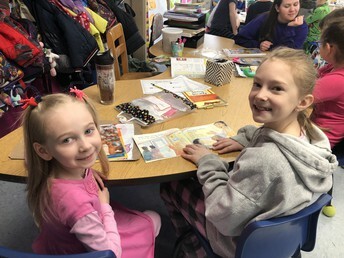 One teacher, Mrs. Fortunato, said that the previous lunch service had a "Teachers Lunch," where teachers could come and get lunch for themselves. Now, if teachers forget their lunch they have nothing to eat. If the school lunch didn't change, they would be able to pick up some lunch straight from the cafeteria. 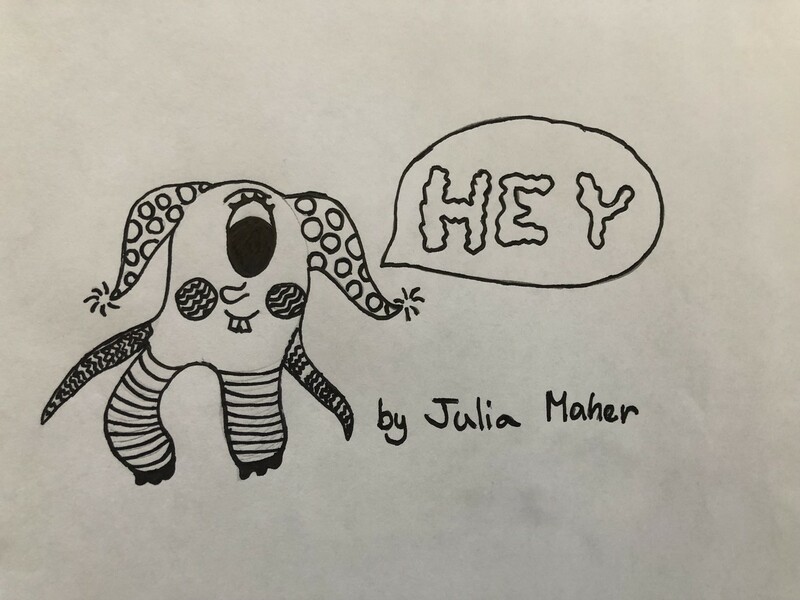 Julia Maher, a fourth grader, orders lunch about once a week. She thinks that the new school lunch is much better than the old lunch service. She does not like the school quesadillas. 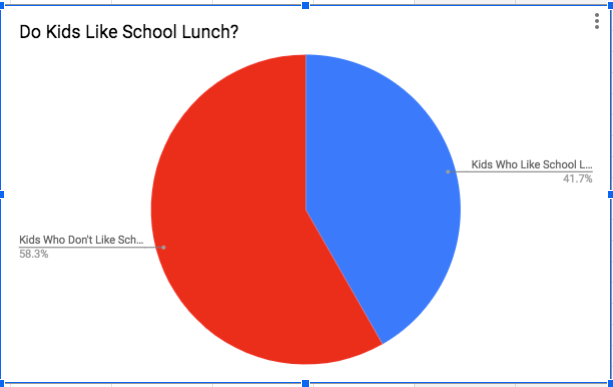 We did a poll and asked the students at Lincroft School if they like school lunch or not. We also asked how often they order school lunch. *In Lincroft School, there are 452 kids. Out of the 311 kids who answered our poll, these are the results.